Since the miners arrived to Madrid, on strike to protest against the 63% cuts to their sector, the demonstrations haven't stopped in the Spanish capital. Since last July 10th there are daily protests in which different professionals like fire-fighters and government employees have joined. The police and army unions jumped in saying their patience also had a limit. 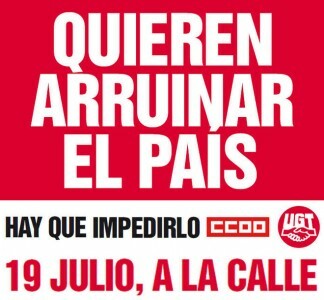 On July 19th many protests took place in several cities across Spain against the cuts announced by the President Mariano Rajoy. 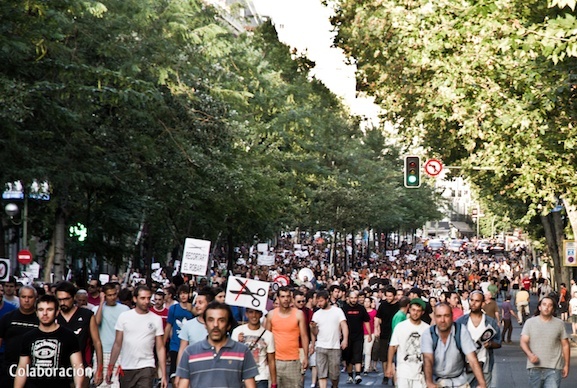 Also, the “Protest of the Unemployed” with thousands of unemployed marched towards Madrid from countless cities. 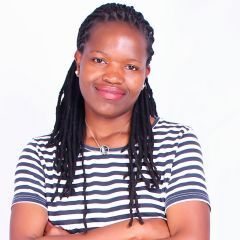 Their arrival to the capital was on July 21st. The biggest cut during Spain's democracy led by the Popular Party, added to the promises that this same political group have failed to fulfill systematically, and the insult to the unemployed by Parliamentarian Andrea Fabra with her famous phrase “Que se jodan” [es] (Screw them) (follow the conversation on Twitter under the #QueSeJodan hashtag) have been the sparks that have ignited the street demonstrations of the last days. The protests sometimes were not peaceful showing the people's anger while the authorities repressed them violently. 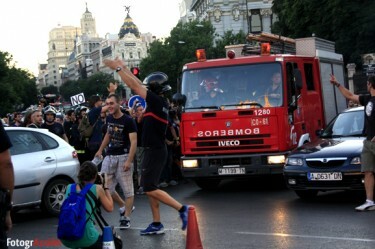 Protests against cuts in Madrid. 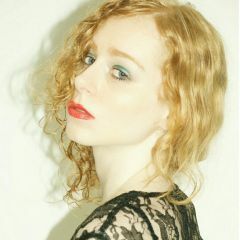 Picture by Fotogracción. 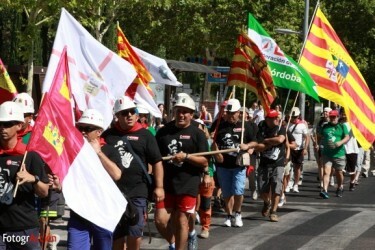 Miners walk with their regional flags in downtown Madrid. There were difficult moments in downtown Madrid the day after the miners arrived. Riot police shot rubber bullets at the protesters who in turn responded screaming “shame you” (July 12th). Here are some examples of the videos collected by the webpage Spain Revolution. Pictures of the spontaneous protest of government employees in front of the Congress after it announced the cuts that will affect them- July 15th. Government employees gathering before the majority parties’ headquarters,PP and PSOE, in front of the Congress. A woman is arrested during the protest. 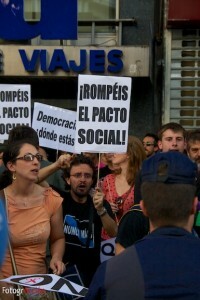 Images of the protests caused by the cuts and Deputy Andrea Fabra's “Screw them”. 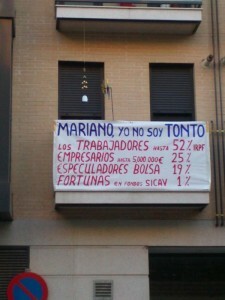 A banner that symbolizes the social unrest that Spain lives. Mieres fire-fighters strip themselves to protest against the cuts. Photo by @elcomerciodigit. A fire-fighter truck moves among the protesters. Banner calling for a protest. People of Spain: imprison the criminal bankers and bureaucrats, replace them with people that will withdraw spain from the, EU, default on the debt built up by the banksters for the banksters, reissue the peso and LIVE!